This competition is part of the Robot Design course on the Master programme in Computer Systems Engineering 121-180p. The robots are made from lego, sensors, dc-motors, servos, color-camera and a DSP. The DSP is programmed making the robots totaly autonomous during the competition. Thus, no human interaction is needed and the robots do not follow any pre-specified route. The task for the robots to solve on the 2 x 2 arena is different each year. 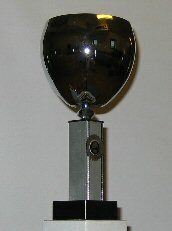 The tournament is a cup following a ranking system. But first, the robots are showing off alone on the arena for 2 minuts. The competitors are ranked after how good they performed. The tournament is open for public and is an entertaining moment for young and old. Use the links to the left to view the previous LEGO robot tournaments.